THE CLUB STANDARD FOR DJ MIXERS. It’s time for an update to the highly popular DJM-800 club mixer. Enter the DJM-900NXS – the next level in creativity for the pro DJ. Excellent computer connectivity, up-to-date effects and high performance features and sound make this the centrepiece of any modern, professional DJ setup. 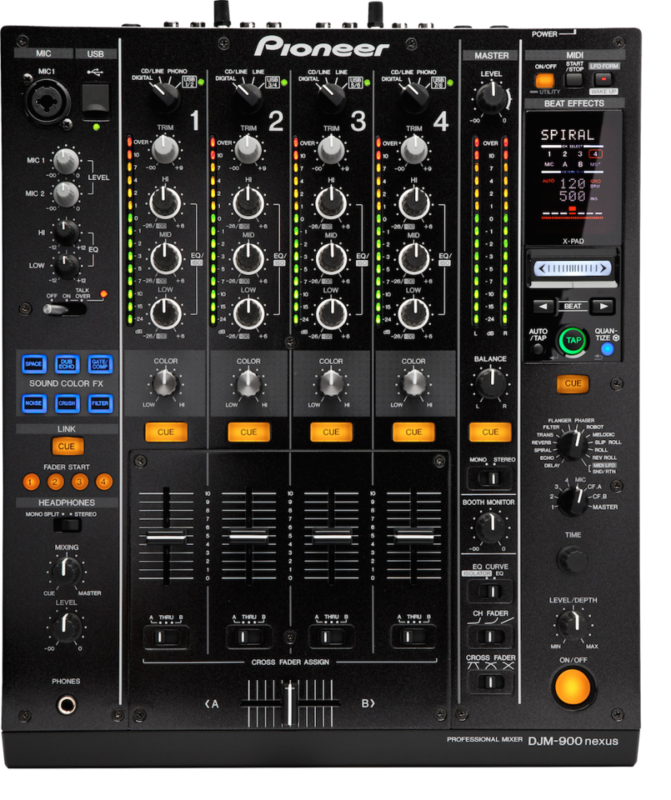 The DJM-900NXS inherits the familiar DJM-800 layout. To match, we’ve rearranged the connection panel to make it better and more intuitive. What’s more, improved fader technology and audio circuits reduce the need for servicing and significantly increase the mixer’s lifespan.